In need of a tune up? 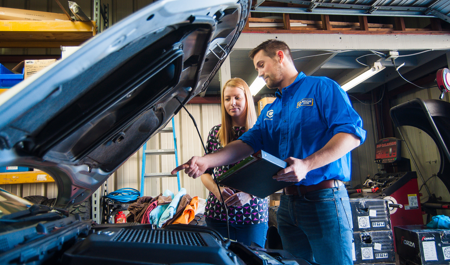 The best way to prevent long-term and costly problems with your vehicle is to keep up with its tune up schedule. Regardless of your vehicle’s make or model, its owner’s manual will contain a maintenance schedule. Every make and model is different, and standby beliefs such as “You have to change your oil every 3,000 miles,” may not apply to your car. While some preventative maintenance—such as topping off fluids—can be performed by the vehicle’s owner, other, more complicated procedures should be done by experts like the team at Gary's Garage. We are a family-owned business delivering honest and professional automotive repair and maintenance services to the people of Essex and surrounding areas. Our quality technicians employ today’s latest technology and are equipped to handle all major and minor repairs on foreign and domestic vehicles. Schedule an appointment today and experience the best service in Essex!